Rosia Montana is a picturesque Romanian village in the western Transylvania, 75 km away from Alba Iulia and it sits on top of Europe’s largest gold deposits. It is the oldest documented settlement in Romania and it was founded by the romans during the rule of Trajan (98 - 117 AD) as a mining town. The latin name was Alburnus Maior. The earliest reference to the town is on a wax tablet dated February 6th 131 AD discovered in the area. But there is archaeological and metallurgical evidence of gold mining here since the late Stone Age. The ancient settlement flourished during the roman age. Gold was extracted starting from the very first days of the Roman conquest (106 AD) until the Aurelian retreat (271-272 AD). It developed into a village of Illyrian miners who were brought here for their specialised skills, in order to work in the already existing gold exploitations. After one and a half millennium the mining operations were resumed and expanded during the Austrian rule with the support of the Imperial authorities. 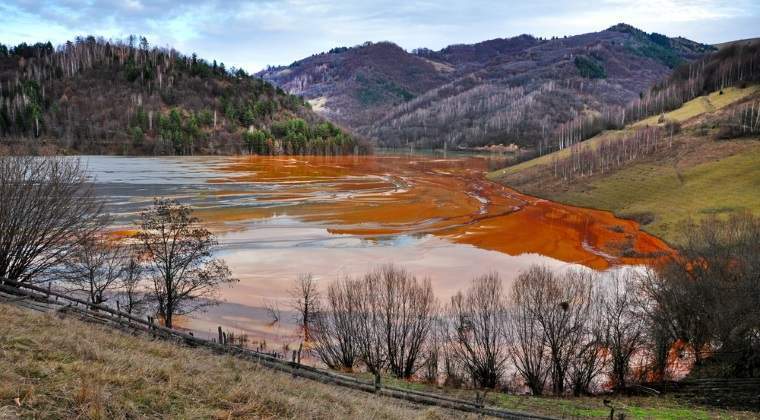 Because the flow of the streams passing near the mines was too low for the mining operations, around Rosia Montana people built a few ponds. These were used to break the golden ore using the force of the water. Later, some of the ponds were contaminated with mining waste residuals and turned into apocalyptic landscapes. In 2009 at Rosia Montana was established a world record certified by Guinness Book: the largest number of people who simultaneously looked for gold using the buddle. Some participants found gold nuggets of 2-3 mm. At the moment the main tourist attractions in Rosia Montana are the ancient roman mines and the Mining Museum where you can see traditional tools used for gold processing, documents and pictures regarding gold extraction in the area. 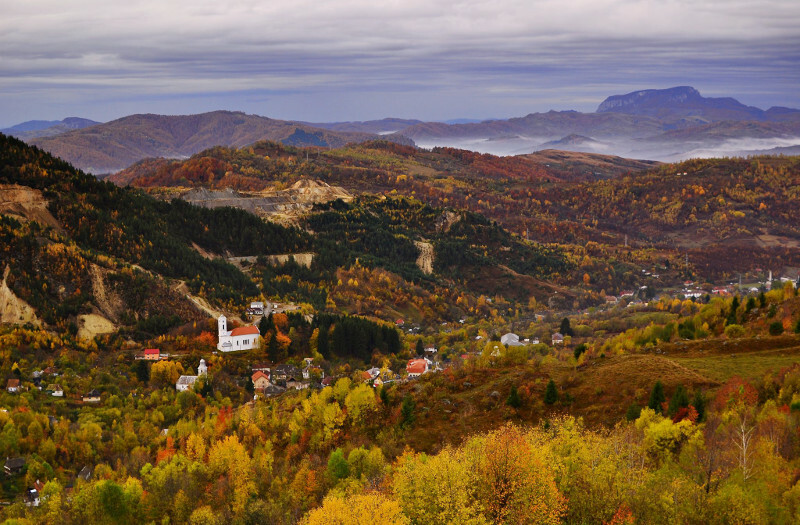 Rosia Montana became the most famous mining town in Romania because of the controversies related to the mining operations. But, meanwhile, the village has been designated a place of historic site of national interest and in 2016 the Ministry of Culture closed definitely the mining works here. Henceforth any intervention on the area was prohibited. Rosia Montana is not the most beautiful village that you ever visited. On the contrary, it is small and suffering as a ghost town. 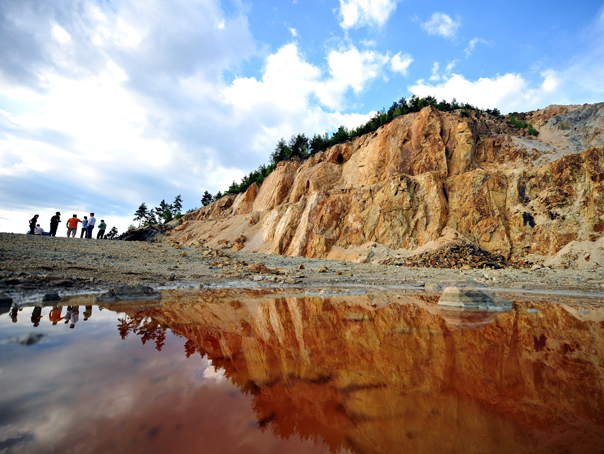 Although it lives on top of more than 300 tons of gold, the small community is struggling with poverty. This makes people's homes and the historic center of the village look even worse than the roman ruins. But with goods and bads the place bears the traces of more than two millennia of life and mining activity and definitely it's worth a visit.